The parish was privileged to have our God-loving Bishop John Kudrick celebrate the Divine Liturgy of St. Basil the Great at our parish today. Our pastor, Fr. Sidney Sidor, is resting from a medical procedure this past Friday. 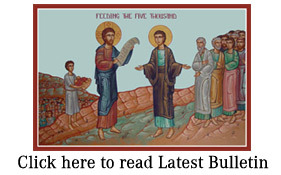 On the 2nd Sunday of the Great Fast Bishop John’s sermon was about rebuilding our relationship with God and the faith of the four friends who lowered the paralytic man from the roof to reach Jesus that led to their friend’s forgiveness of sins and healing. 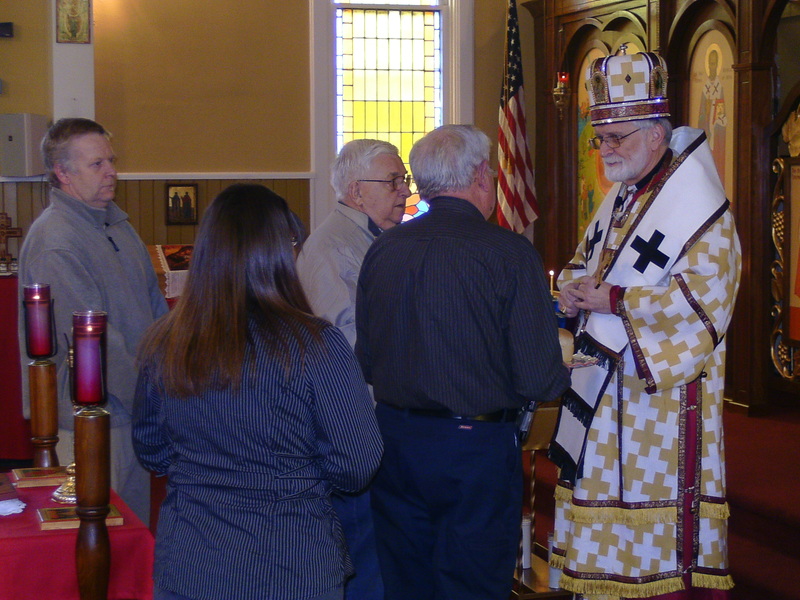 Following the Divine Liturgy the Bishop visited with the attendees in St. Mary’s Hall then with Fr. Sidor. See other pictures posted by Kimetha Loidolt on Facebook.